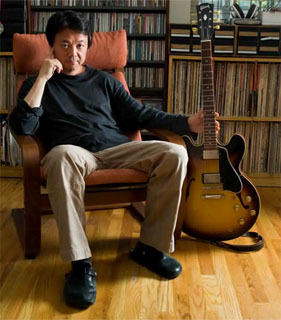 Award-winning guitarist Gene Ess's unique style stems from a multicultural background. Originally from Tokyo, Japan, Gene Ess grew up on a US Air Force Base on Okinawa, where he studied piano while receiving a mix of influences. Gene's early years were filled up with the sounds of classical music, from Beethoven to Chopin, while growing up surrounded by indigenous melodies, and pop and jazz music coming out of American military clubs. All this amounted for an early obsession with music. Fellow musicians and instructors considered young Gene a prodigy and, by the early age of 14, he was a busy musician, performing all around Okinawa. After graduating high school, Ess left for George Mason University. There, he pursued classical music studies with Andr�s Segovia's disciple Larry Snitzler, and orchestral composition under Dr. Glenn Smith. In 1983, after earning an 'Outstanding Performance Award' from Downbeat magazine (for his rendition of Lennox Berkeley's 'Theme and Variations'), Gene received a scholarship to attend the prestigious Berklee College of Music. It is during these years in Boston that jazz influences took a deeper root in Gene's music. While he studied with Jerry Bergonzi and Charlie Banacos, Gene became an avid listener of the jazz masters, and the music of John Coltrane became a focal point of reference in his creative development. Soon thereafter, Gene kick-started his own career as band leader, which has produced eight outstanding records that combine Gene's keen ear for musical collaborations and a strong personal point of view. In his initial albums, Gene explored and expanded the possibilities of modern jazz, increasingly featuring original compositions developed for a traditional quintet format (piano, bass, drums, sax and guitar). This period culminated with his 2009 album, 'Modes of Limited Transcendence,' which received great reviews globally, and the prestigious 2010 SESAC Outstanding Jazz Performance Award. During these years in the New York performing scene (Blue Note, 55Bar, Iridium, ShapeShifter Lab, Red Hook Jazz Festival), Gene shared the stage with jazz luminaries including Dave Liebman, Al Foster, Clark Terry, Slide Hampton, Harvie S, and many others. In 2012, Gene released an album featuring vocals for the first time. This record, titled "A Thousand Summers," consisted of beautiful songs from the jazz canon carefully arranged by Gene and the bassist Thomson Kneeland, and counted with the collaboration of the vocalist Nicki Parrot. After that, Gene took the concept of vocal music to a new level with Fractal Attraction, his latest project. Launched in 2013, Fractal Attraction is a vocal and multi-instrumental quintet ensemble (voice, piano, guitar, bass and drums) that has been collecting praise and accolades. The three albums under the band's belt ('Fractal Attraction' ; 'Eternal Monomyth'  and 'Absurdist Theater' ) have been presented with SESAC's National Performance Activity Awards and have garnered international critical acclaim for their innovative use of the lyric-less voice to expand the instrumental armamentarium, and for their tireless expansion of the jazz language. The band is a fixture in the greater New York City area, where it performs consistently in independent and established venues, such as the Scholes Street Studio or the Blue Note. The front line of the band has remained consistent from its inception, with Gene Ess leading on the guitar and Thana Alexa as vocalist. Other remarkable musicians that have taken part in this project include Gene Jackson or Clarence Penn (drums), Thomson Kneeland or Yasushi Nakamura (bass) and David Berkman, John Escreet or Manuel Valera (piano). In addition to his individual development as a person and an artist, Gene keeps a sense of commitment to the creative community in his adoptive city. Gene has been a member of the NYC Kettle Music Collective, and currently participates in the 4X Collective that brings together like-minded composers from New York City.